Everyone who is prepping should be concerned about communications for a post-SHTF scenario. 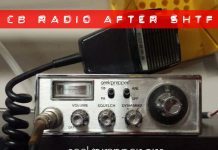 After the SHTF it’s too late to decide that you want to learn about HAM communications. 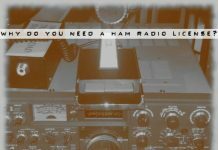 We know money is tight, so how can you get experience with Ham Radio? 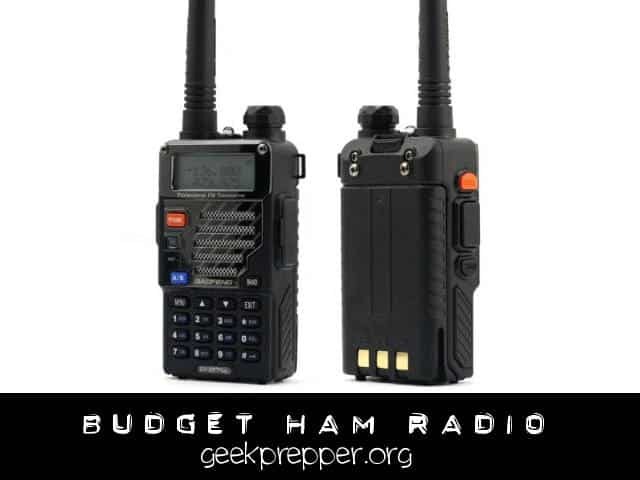 By reading up on our budget ham radio recommendations that focus on the BaoFeng UV-5R and the TYT UFV1. I’ve been toying with budget ham radio (aka economic Chinese Radios). I own a handheld TYT UFV1 Dual Band radio which cost me around $115. It does have all the features that you find on other handheld radios that cost many hundreds of dollars and works like a champ, but $115 is still a decent wad of money for someone with a family. Recently I started tinkering with the BaoFeng UV-5R Plus Dual-Band 136-174/400-480 MHz FM Ham Two-way Radio. This thing has all the features of the TYT for less than 1/2 the cost! That’s right, I got this radio for about $55 from Amazon.com. The prices have dropped down to the mid $30’s for these! That is quite a list of frequencies.While it’s not legal to transmit on all these frequencies if your not a HAM or if the device isn’t approved on the FCC Part 95, that really won’t apply after SHTF. I’d take an FCC fine over death any day! I have other radios (TYT UVF-1, Yeasu FT-7800R), but I always find myself reaching for my BaoFeng when it’s time to head out! I’ve added a few accessories to this great budget ham radio to make it even more awesome and versatile. The 12v power adapter is essential. It plugs into your charging base for auto and mobile use. There is another 12v solution, the Baofeng VPS-001 Vehicle Power Supply / Car Battery Eliminator, this swaps out with your battery, so you run your BaoFeng directly from your auto’s 12v current, allowing you to save your battery. Lb-75n Battery Case, uses 6 AAA batteries to run your handheld, very nice, if you have rechargeable batteries! Radio Battery Case for Baofeng, this one uses 6 AA batteries. I’ve been testing out some aftermarket antennas, that really give my BaoFeng a nice boost in transmit and receive. Post on BaoFeng Antenna Upgrades. I decided to expand the range and allow myself the ability to use this in my car. Sure it would have worked in my car using the rubbery ducky antenna, but a car is essentially a large metal box, not the greatest thing for radio waves. 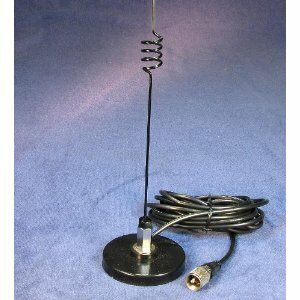 Another cool thing I can do is use this without my car, by placing it on a large metal surface (cookie sheet) and use it for a “base station” antenna. I was able to hit a repeater (70cm band) about 25 miles away, without line of site. We’re talking hills and trees, and rain in my path. I needed a way to connect the PL-259 connector to your SMA antenna connection on the BaoFeng, so I grabbed the Reverse SMA to “PL-259” Adapter Cable – Female/Female for Wouxun Baofeng. This is the one that fits perfectly on the BaeFeng. Note: The TYT UVF1 uses the exact opposite, male SMA fitting (“SMA” to “PL-259” Adapter Cable). This is pretty self explanatory. I didn’t want to have to grab the radio every time I wanted to broadcast. 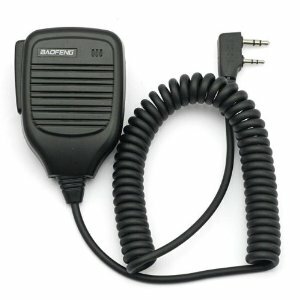 This microphone is designed for the BaoFeng and feels just like a CB radio microphone. I was unsure of the quality of the BaoFeng UV-5R Plus Dual-Band 136-174/400-480 MHz FM Ham Two-way Radio, but after buying it and using it, I fell in love. I like it so much that I bought 2 more, just in case I dropped mine or it was stolen. I mentioned this radio last night at a local Ham Club meeting and one of the other members pulled this exact radio out of his coat pocket to show everyone. They are gaining in popularity which means the price might start going up. $55 to get some Ham experience is priceless in my mind! The one thing I’ve learned about the UV-5R is that is broadcasts on all of the radio bands. Not just ham radio. That isn’t widely known, because as hams, we tend to stick to broadcasting in a legal capacity, but one way I tested that “additional functionality” was turn on my NOAA weather alert radio, and key up my UV-5r to the broadcast channel. It was then I learned it transmitted outside the 2m/70cm ham freqs. They have come out with an “American Edition” but you’d be smart as a prepper, to buy the UV-5Rs while you can. I have transmitted on the FRS/GMRS bands with this radio, and considering all of the features of this radio, $55/ea is a STEAL. I have spares, spare parts, and all of that has been cheaper than my Icoms, Yaesus, Alincos, and Kenwoods. Decided to give it a try. Waiting for the radio to arrive. When you say “hit” a repeater, do you mean transmitting to the repeater, or just receiving from? When I say “Hit a repeater”, I mean both transmitting and receiving. Obviously receiving is much easier, because a repeater, typically sits up high, and has lots of power. If I can’t transmit, it’s probably too far, then I’ll leverage a larger handheld antenna, mobile antenna, or a base station antenna. 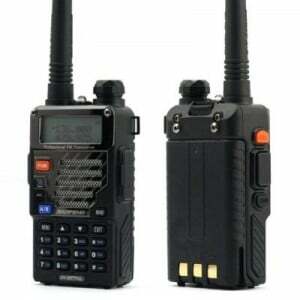 You’ll be surprised how far you can transmit with the BaoFeng radios. They are pretty slick! I just bought the f-11. Could not get more that a mile down the road, am I missing something?? bought two to test. My brother in law a a regular vhf radio and get 5 miles. What am I doing wrong?? Is the F11 a handheld radio? There are settings menus on most modern radios so you may have to select a higher power transmission setting or invest in a larger antenna. I’m took you advice and went ahead a got myself the whole deal. Will be also studying for my Technician license. Thanks for your advice! Great news. Good luck on your HAM exam! That’s the place to go to get information like “what’s the difference between the different versions?” (the answer is…nothing, but newer ones will have newer firmware which cannot be updated) and help on setting up programming software or programming from the keypad. 1. If you get the free CHIRP software to program your UV-5R, you can set channels to “receive only”. That way you can program in whatever channels you aren’t legal on for scanning purposes without worrying about inadvertently transmitting on them. 2. In a true life-or-death situation, FCC rules allow you to transmit on ANY frequency, regardless on your license level (or lack of). But it has to be a true emergency. Any other unlicensed use of a frequency can be pretty damn costly. And don’t think they won’t find you. They DO look, and the legitimate users of frequencies WILL turn you in. 3. Scanner laws differ greatly among the states. Check your state’s laws. In my state, mobile use (i.e., in your car, on your bike, walking around even) is only legal if you are a licensed ham, or are a cop/firefighter/etc with WRITTEN permission to use a scanner from your chief/boss/etc. Kinda crazy, I know, but that’s the law. Violation of it can result in seizure of your equipment and prosecution. Ham radio operators don’t ” broadcast”. Really enjoyed your article and your review of this radio. Until now, I’ve only dealt with the small Motorola “walkie talkies” for short distance. We purchased these prior to my deployment to Iraq and used them to communicate between flight ops and the airfield. They worked great. However now that I’m retired from the military and looking at comms for my SHTF scenarios, I’ve been thinking about getting something more “long distance” so if something happens, I can communicate with my wife. 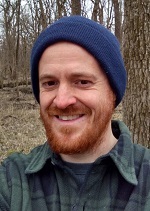 We both work in the same town but it’s 20 miles from our house so would be good for us to be able to communicate and link up before heading on the long walk home. When I followed the link you have above to Amazon, this radio is now priced at $32.00. Not one to particularly like “Bing”, I have to tell you that the Bing daily search program is great. I had built up enough points to purchase 9 $5.00 Amazon gift cards so used these for this purchase. Using the free shipping with Amazon, an the gift cards earned through Bing daily searches, I was able to get two of these radios for a total cost to me of $19.30. Again, thank you for the review. Can you listen to Short Wave with this radio? I don’t know with this specific Baofeng, but not likely. Depends on the frequency ranges it supports, particularly for the receive. I know the Baofeng I have (not the UV-5R) doesn’t support short wave at all. No, the Baofeng radio product line doesn’t support HF (or short wave). Frequency coverage is FM only, and from 136-174 MHz on VHF, and from 400-520 MHz on UHF. Some of you that are more concerned with “private” communications may want to look into a couple of the TYT handheld units that support audio inversion, aka “scrambling”. Keep in mind, however, that not all TYT units support that feature, nor can you legally use audio inversion on the amateur radio bands. TYT also has another handheld model that might be of great interest to some, as it has 10W of power output on both the VHF and UHF bands, plus a 50W/35W mobile dual-band radio at a rediculously low price point (compared to the Japanese rigs). They may not be at the $32 price point of the Baofeng low-end radios (Baofeng also makes more expensive radios as well), but many of their features are “really” helpful when in the great outdoors or when trying to raise a distant repeater miles away from civilization. Google “RF Gear 2 Go” if you’d like additional information.